Start by scrubbing your potatoes. (There’s no need to peel them if you don’t mind the skins!) Dice potatoes into approximately 1/2 inch chunks. 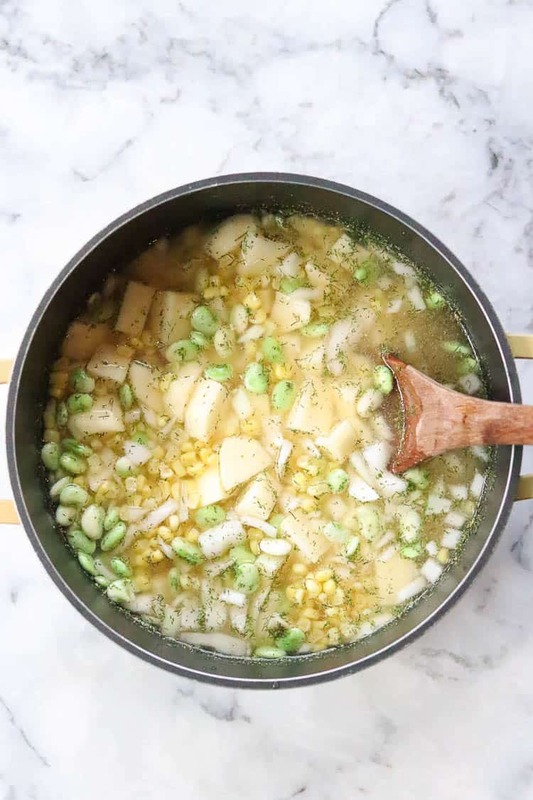 Add diced onion, lima beans, and corn to a large stock pot with potatoes. 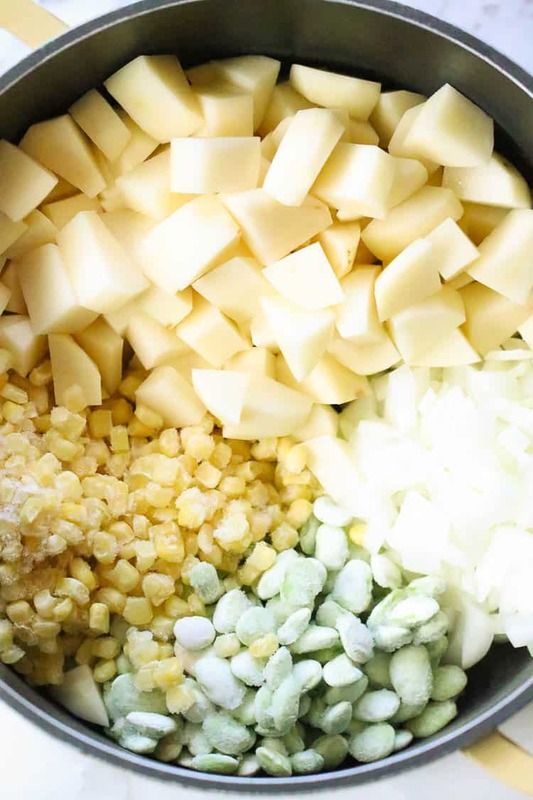 Use fresh corn in season, frozen corn, or canned corn (drained)! Pour water over all the vegetables. Add garlic powder, onion powder, dried dill, nutritional yeast flakes, and salt. Stir to combine. Bring to boil over medium heat without lid, then reduce heat and simmer with lid on for 10 minutes or until potatoes are just fork tender. Once soup is finished cooking, remove from heat, add vegan mayonnaise and stir to combine. What kind of vegan Mayonnaise should I use? I’m addicted to the taste of Follow Your Heart Veganaise, so I often use that. Other yummy options I recommend include Just Mayo, or homemade mayonnaise like this Aquafaba Mayo recipe from Minimalist Baker. 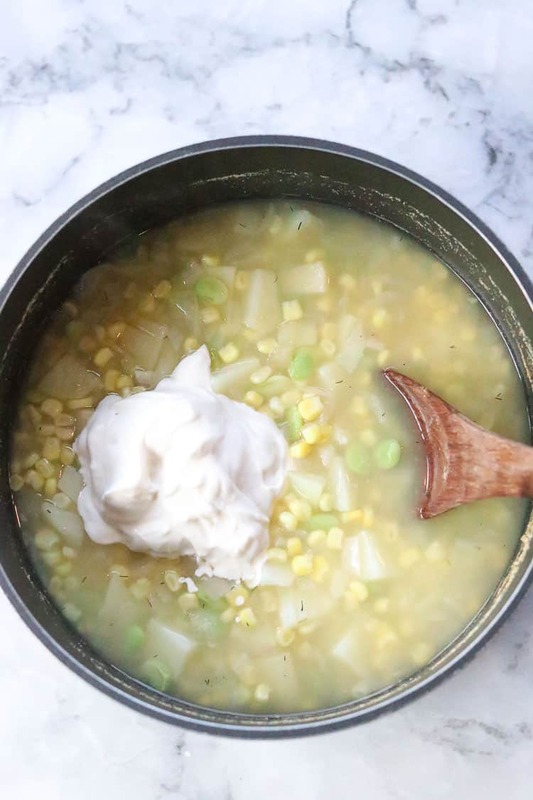 Can I make this Vegan Corn Chowder without oil? 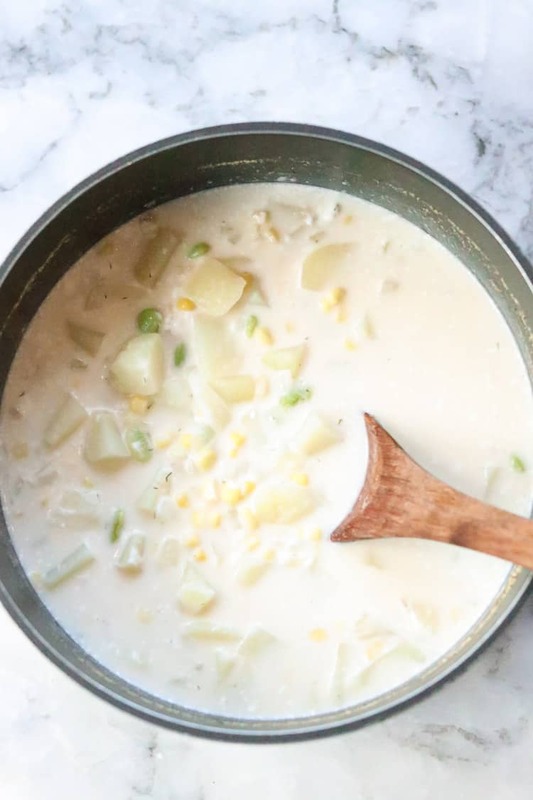 Make this vegan corn chowder without oil by substituting the mayo with canned coconut milk or vegan sour cream. Refrigerate left-overs in a covered container for up to 5 days. Warm on stove top on medium heat or in microwave for a minute or two. 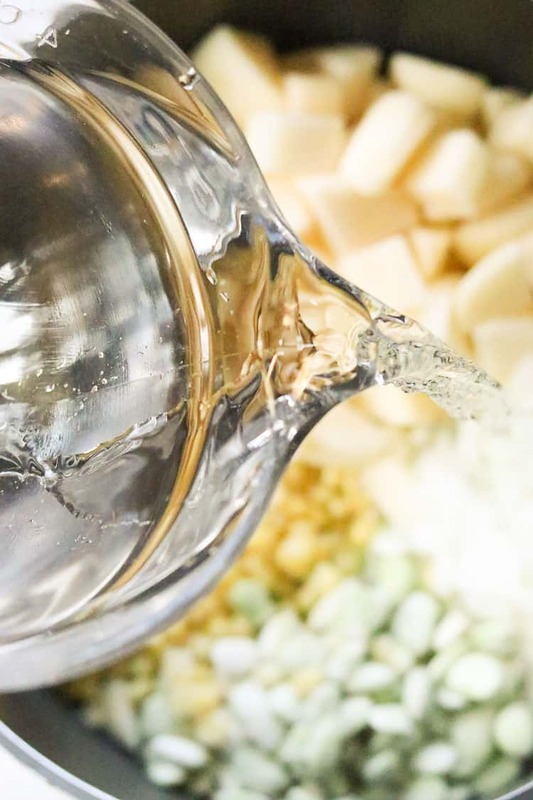 Avoid reaching the boiling point to prevent curdled appearance. 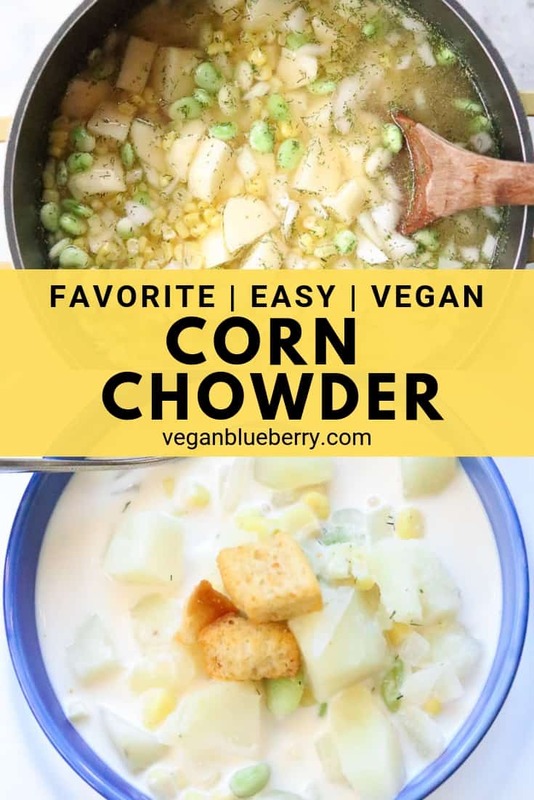 If you’ve tried this quick and tasty Vegan Corn Chowder recipe please let me know how you got on in the comments below, I LOVE hearing from you! You can also FOLLOW ME on FACEBOOK, INSTAGRAM and PINTEREST to see more delicious food and what this blueberry farm girl is keepin’ busy doing!!! 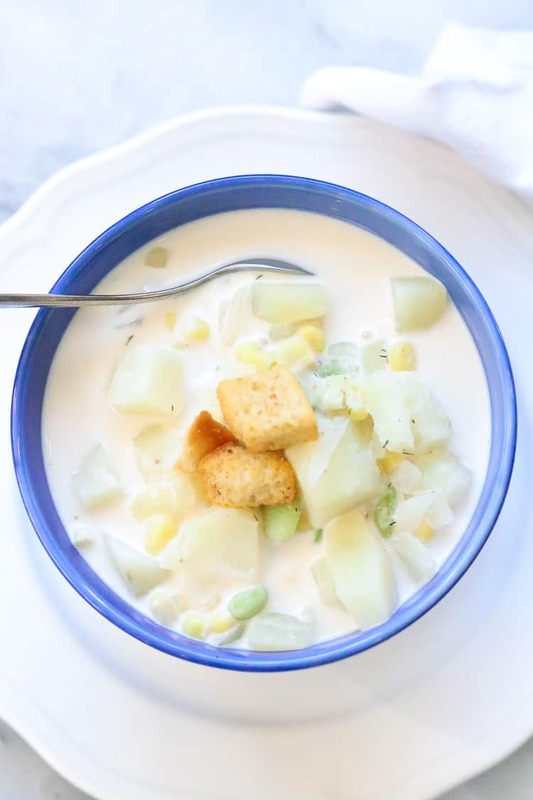 This easy vegan corn chowder is a light and delicious soup that you can make with just a handful of ingredients in 20 minutes or less! Start by scrubbing your potatoes. (There's no need to peel them if you don't mind the skins!) Dice potatoes into approximately 1/2 inch chunks. Add veggies, seasonings, and water to stock pot. Bring to a boil without lid, once boiling add lid and reduce heat to low, simmering veggies for approx. 10 minutes or until potatoes are soft. After turning heat off, stir in vegan mayo, and add a dash of cayenne pepper. Taste test for saltiness. Serve as is or with a garnish of fresh dill! I'm addicted to the taste of Follow Your Heart Veganaise, so I often use that. 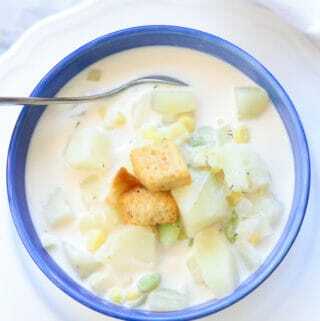 Other yummy options I recommend include Just Mayo, or homemade mayonnaise like this Aquafaba Mayo recipe from Minimalist Baker. 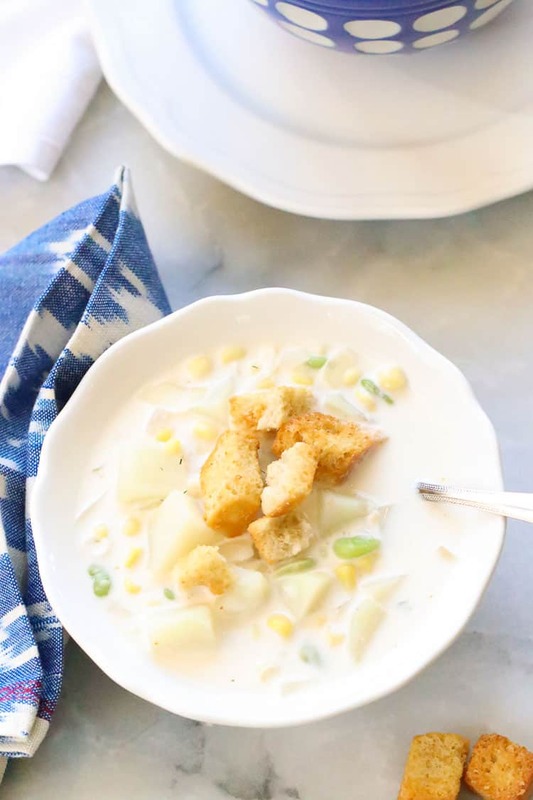 This is so super easy to make and really good. Your pictures are wonderful! I couldn’t bring myself to use mayo in this, used a can of organic coconut milk instead. It turned out marvelous, I know this might sound strange but had some left over quinoa so threw that in too ! Thanks for your hard work and sharing such a wonderful recipe. Thanks for your comment! 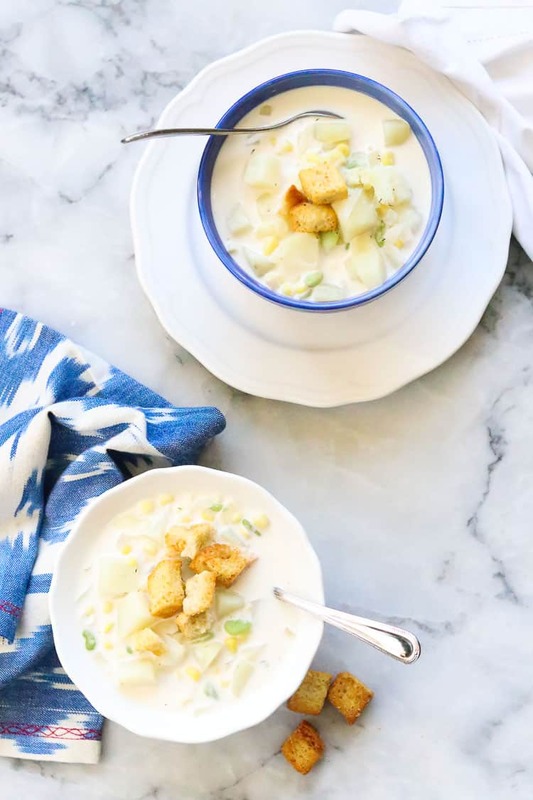 Love that you added coconut milk…and quinoa! Way to be creative and awesome!